Even if it’s not really a recurring topic, we’re no strangers to Chrome OS forks by now. Just like the Google Chrome browser, Chrome OS is based on an open-source project—specifically the Chromium OS project, and thus, it can be forked. These forks—whether they’re pure Chromium OS without Google additions or have extra features built into them—may give you the option to run Chrome OS on non-Chromebook devices. Whether it’s your notebook, your laptop, or even your desktop computer, they’re actually a pretty solid alternative for older, aging computers that aren’t able to properly run Windows 10, Windows 8.1, or even Windows 7. But there are marked differences between Chromium OS built from source and the official, certified Chrome OS builds we find in Chromebooks. One of them being a lack of Android app support. Android app support is actually a rather new thing for Chrome OS, but the list of supported Chromebooks has grown rather large since the feature first rolled out. Even then, some older Chromebooks don’t have support for Android apps, and most Chrome OS forks lack support for it for one reason or another. 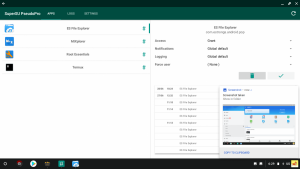 There’s one Chrome OS fork called FydeOS, for serving the education segment in China, which does have Android app support. Formerly known as FlintOS, FydeOS doesn’t look that much different from other forks out there like Neverware’s CloudReady. 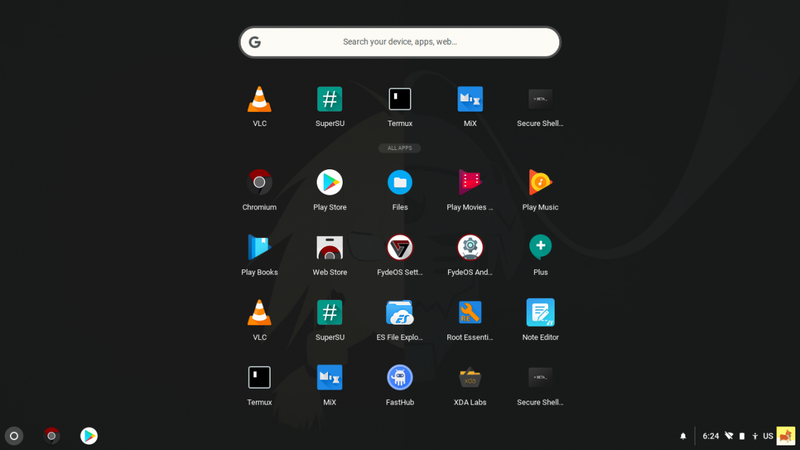 GalliumOS is a popular GNU/Linux distribution aimed at replacing the OS on Chromebooks, but it, too, doesn’t provide Android app support. But unlike the other options, FydeOS enables ARC++ (Android Runtime for Chrome) by default and includes the libraries needed to allow you to run Android apps on x86 PCs. According to the developers, FydeOS was built mainly for the Chinese market—where regular people are not familiar with the Google Play Store or Google Play Services at all. But because Android is still incredibly popular in China, Chinese users are very used to sideloading apps so the lack of a single central app store is less of an issue over there. 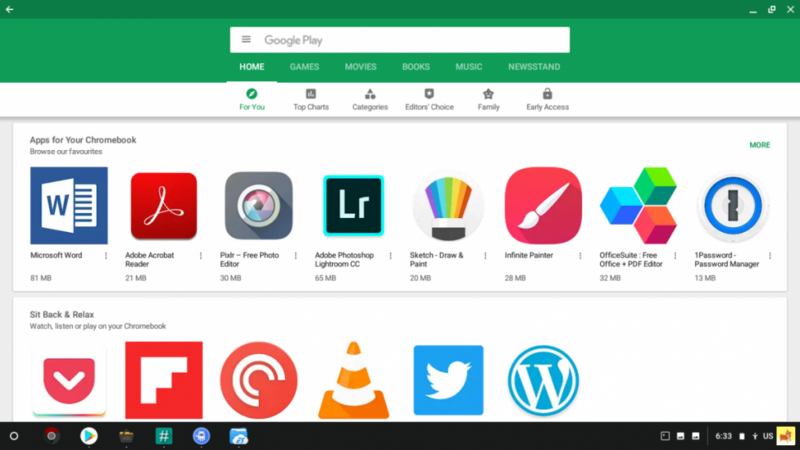 Users have been able to run Android apps for a while on PCs thanks to third-party emulators like BlueStacks or Android builds optimized for x86 like Android-x86 or RemixOS, but each solution had their own limitations. 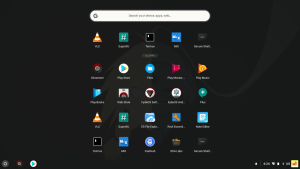 With something like BlueStacks, the Android system is running inside an isolated instance (a virtual machine) and thus requires a decently powerful computer to even run basic games. The Android forks, however, need you to either run an instance in a virtual machine or boot it on a separate partition. While we’re used to Android as a mobile operating system, it doesn’t work too well as a full-fledged desktop OS, despite attempts to “desktop-ify” it with forks like RemixOS, so you probably won’t enjoy the experience. A rooted instance of FydeOS running on a Dell Vostro 3546. Since FydeOS is based on Chromium OS, even if it’s more limited than Windows, Linux, or macOS, it definitely works as a lightweight operating system with web browsing capabilities and (now) full Android app support. 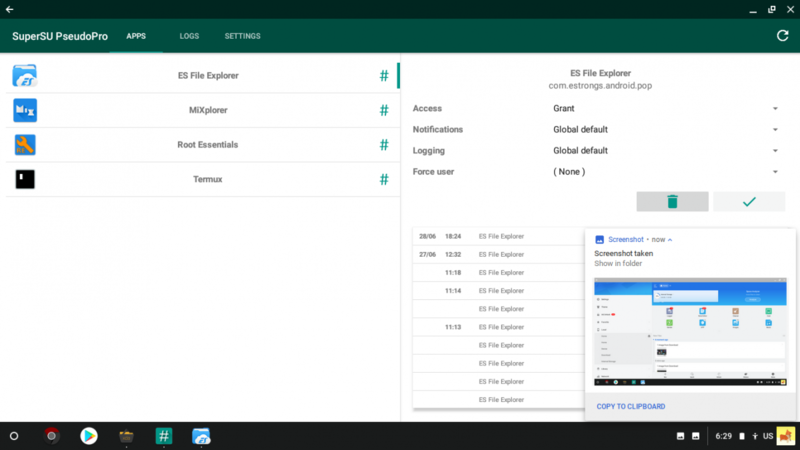 FydeOS simply takes Android app support from Chromebooks and brings it to x86 PCs. Android apps run natively here, and thus, you shouldn’t run into any major issues with them. While you can install and test it on your spare machine, we don’t recommend doing so on your main computer. This is because FydeOS, at the moment, is still at a very early stage of development, and it is likely that you’ll face bugs sooner or later. It is meant to be used by the Chinese market, a market that is not familiar with the Google Play Store or Google services, and where every OEM ships its own app store with their devices. The main purpose of the OS is to bring Chrome OS to the hands of Chinese users. Thus, FydeOS does NOT ship with the Google Play Store or Google Play Services by default because of licensing issues and the fact that Play Services or Google services won’t work in mainland China. 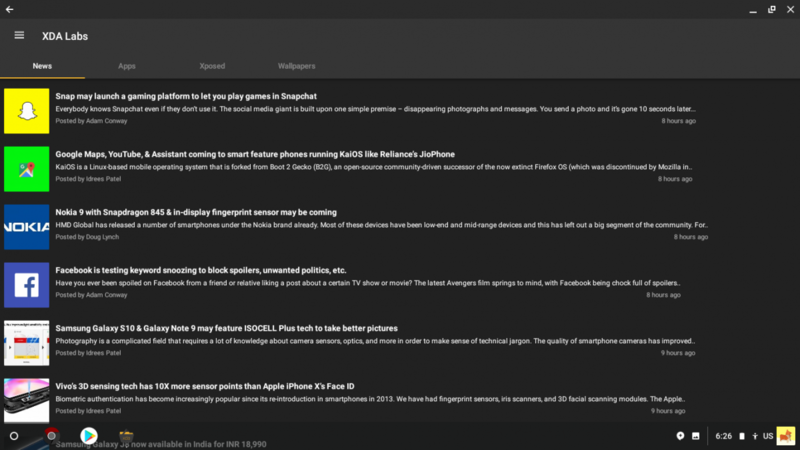 The Google Play Store running on FydeOS. International users, however, do have the option to install Google apps on their session if that’s something they want. They even download automatically after connecting to the Internet, apparently. However, given the fork’s China-first focus, you may run into issues while using the Play Store. FydeOS builds are available from their website here. You can download and install it on any computer, but you’ll need at least 2 GB of RAM, 16 GB of storage space, and relatively recent hardware to have a good experience. If you’re planning on playing games or using heavier Android apps, however, you’ll need a relatively powerful machine. Most of the source code for FydeOS is also available on GitHub. Keep in mind, though, that some of FydeOS’ additions, particularly those made to work around China’s network situation, are open sourced. FydeOS seems like a pretty interesting project—it adds Android apps and allows them to run natively on older, slower computers instead of just Chromebooks, tablets, and phones. However, it is a work in progress, and we don’t recommend installing it on your primary desktop or laptop as you may find yourself with unexpected bugs and issues. If you have a spare device, though, then go right ahead. You can check out their website here. We are excited to see how this project will end. 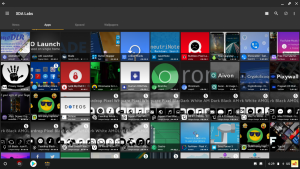 Most Chromium OS forks rarely gain traction, but FydeOS’ focus on China-first (while bringing Android app support) separates it apart from the crowd and may even help it gain a decent user base. We’ll keep you informed about any notable future developments. What do you think about FydeOS? Let us know in the comment section. 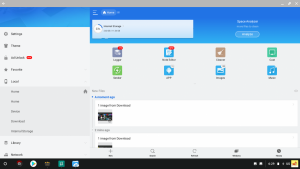 This article was updated to correct facts about Chrome OS’ open source nature and to correct that GalliumOS is a standalone GNU/Linux distribution.